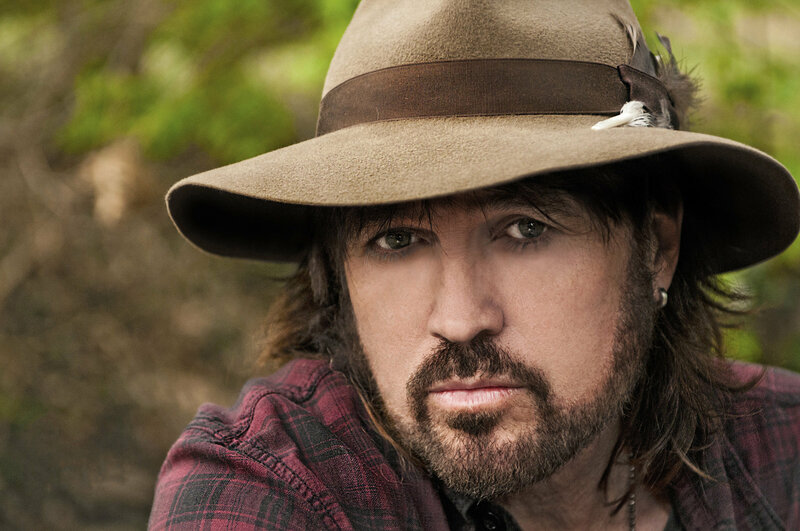 NASHVILLE, Tenn. – Internationally renowned superstar Billy Ray Cyrus is celebrating ‘25 Achy Breaky Years’ this weekend on SiriusXM’s Prime Country Ch. 58. Hosted by Billy Ray Cyrus’ longtime friend Storme Warren, Cyrus opens up about his journey from Flatwoods, Kentucky to achieving worldwide success as a singer, songwriter, actor and producer. The ‘25 Achy Breaky Years’ special also includes an exclusive acoustic performance. In celebration of the 25th anniversary of “Achy Breaky Heart,” which hit No. 1 on Hot Country Songs and peaked at No. 4 on the Billboard Hot 100, Cyrus re-recorded and released a Muscle Shoals edition on iTunes. “When the song was released 25 years ago, the world was very divided. Perhaps 25 years later it might be even more divided so through the magic of a little song, people can come together for just a moment to dance and sing and celebrate life, that’s all that matters,” Cyrus said. Recently, Cyrus has been all over television, including appearances on “LIVE with Kelly and Ryan,” “The Wendy Williams Show,” and many more to promote CMT’s hit comedy “Still The King,” airing Tuesdays at 10/9c. “Still The King” averaged 3 million weekly viewers during season one and in season two, Vernon (Cyrus) is fresh out of jail and determined to reclaim his position as a country music superstar while being present in the lives of his daughter Charlotte (Madison Iseman) and her mother Debbie (Joey Lauren Adams). Faced with the possibility of being a father to Debbie’s unborn child, Vernon must balance his desires for fame and family. July 28 North Star Casino Resort – Bowler, Wis.
July 29 St. Croix Casino – Turtle Lake, Wis.
Aug. 03 Knoxville Civic Auditorium – Knoxville, Tenn.
Aug. 04 The Brown Theatre – Louisville, Ky.
Aug. 05 Victory Theater – Evansville, Ind. Aug. 12 Edgewater Hotel Casino Resort – Laughlin, Nev.
Aug. 19 Mill Town Music Hall – Bremen, Ga.
Sept. 22 Lancaster Performing Arts Center – Lancaster, Calif.
Oct. 21 Crystal Grand Theatre – Wisconsin Dells, Wis.
Billy Ray Cyrus continues captivating audiences with his distinctive vocal style and charismatic stage presence. Throughout the course of nearly three decades, Cyrus has achieved worldwide success as a singer, songwriter, actor and producer. The Flatwoods, Kentucky native exploded onto the music scene when his first album, Some Gave All, debuted on the all-genre Billboard album charts at No. 1 and stayed there for a record-breaking 17 weeks in 1992. The lead single, “Achy Breaky Heart,” became a phenomenon as the single went multi-platinum. Some Gave All also went on to sell 9 million copies. Cyrus became a bonafide music icon and exemplified how Nashville’s take on the music business changed for country artists. Along the way, Cyrus charted 35 singles, 16 of which are Top 40 hits, including “Could’ve Been Me,” “Where’m Gonna Live When I Get Home,” “She’s Not Cryin,” “Some Gave All,” “Ready, Set, Don’t Go” and many more. Recently, he re-recorded “Achy Breaky Heart” in Muscle Shoals to celebrate the 25th anniversary. Cyrus has also enjoyed a successful career as an actor, most notably in cable series “Doc,” and in the Disney series “Hannah Montana” with his daughter Miley Cyrus. Today, Cyrus stars in CMT’s “Still The King” and is recording new music while playing to live audiences across North America. For more information on Billy Ray Cyrus and his upcoming projects, visit BillyRayCyrus.com and follow him on Twitter and Facebook.